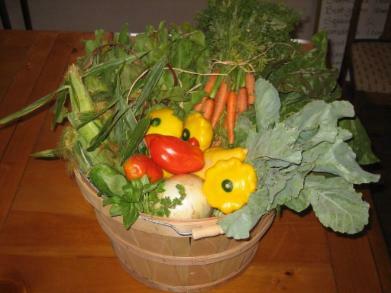 Here is a sample of some of our weekly share baskets. Depending on the week and what is producing well at the time, sometimes the baskets are full to overflowing and sometimes they are not so full. That is the beauty of living in season! We generally never have less than 7 different items in the basket each week.